IOWA CITY, Iowa—ACT today announced it has updated the ACT® WorkKeys® Curriculum with new courses on a modernized interactive platform, powered by BenchPrep™. The Curriculum aligns with the recently updated WorkKeys® National Career Readiness Certificate® assessments and credential. It now includes new courses, such as Applied Math, Graphic Literacy, and Workplace Documents, to help individuals build the essential career-relevant skills needed for learning, personal development, and effective job performance. BenchPrep, an e-learning innovator that accelerates success by putting the learning experience first, offers the only comprehensive learner success platform and brings its technological expertise in personalized learning programs to the newly refreshed WorkKeys Curriculum. By leveraging data, usability engineering, and instructional design principles, BenchPrep makes learning engaging, efficient, and effective. The platform showcases several new features and tools that include a modernized user interface and increased responsiveness on mobile devices. Each course begins with a placement screener to ensure users start at the lesson best suited for their skill level. Each course contains end-of-level quizzes to check for mastery of the content and simulate the testing environment. A customizable, automatically adjusting study schedule and dynamic user-centered dashboards allow users to own their learning experience. The Game Center application engages users in a fun-filled way and makes learning more enjoyable with friendly competitions and self-assessments. All current KeyTrain® and Career Ready 101® customers can access the new WorkKeys Curriculum at no additional cost. Learn more about the changes here. In addition to the curriculum, BenchPrep has delivered ACT® Online Prep to ACT® test-takers since 2016. ACT is a mission-driven, nonprofit organization dedicated to helping people achieve education and workplace success. 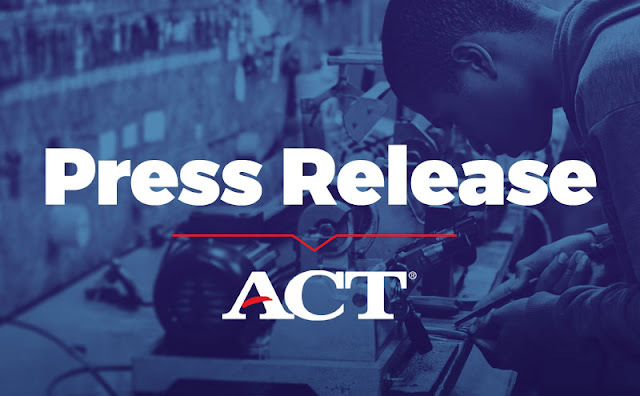 Headquartered in Iowa City, Iowa, ACT is trusted as a leader in college and career readiness, providing high-quality assessments grounded in nearly 60 years of research. ACT offers a uniquely integrated set of solutions designed to provide personalized insights that help individuals succeed from elementary school through career. To learn more about ACT, go to www.act.org.